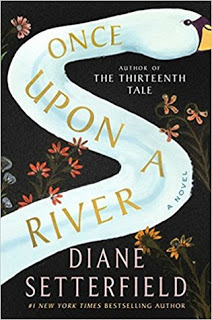 "Spring drew on... and a greenness grew over those brown beds, which, freshening daily, suggested the thought that Hope traversed them at night, and left each morning brighter traces of her steps." Spring is a sublime season. Additionally, April is National Poetry Month. For the past few years, I've celebrated this special month by posting about poetry in some fashion. This April also marks the bicentennial of Charlotte Brontë’s birth. Charlotte Brontë (April 1816 - March 1855) was a novelist, poet, and governess, best known for her great, Gothic novel, Jane Eyre. Originally Brontë's book was published in London, England, in 1847 as Jane Eyre: An Autobiography, under the pen name of Currer Bell. 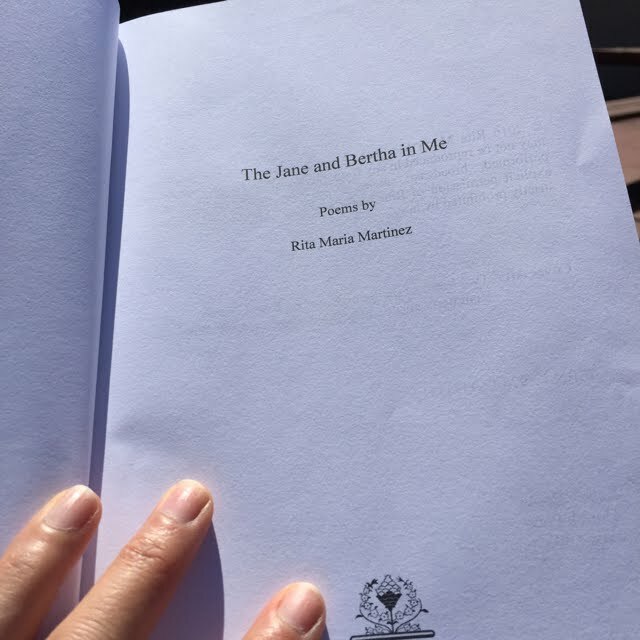 Published in 2016, The Jane and Bertha in Me by Rita Maria Martinez is a collection of poetry that was inspired by the work of Charlotte Brontë, particularly by the novel Jane Eyre. 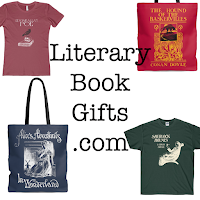 This collection focuses on two characters from Brontë's novel, the protagonist, Jane Eyre, and Bertha Mason (Rochester's wife), although other characters such as (Edward) Rochester, Blanche, and Alice, are also featured. The first poem in the book is called "Reading Jane Eyre". This novel obviously affected Rita Maria Martinez deeply. 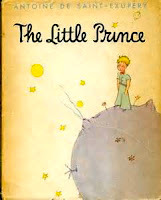 The poem is full of details about her experience with the book, the physical side--like covering it with clear contact paper--as well as what she felt at school: her teacher (Mrs. Lloyd) "hinted a secret at the heart of the text--I spotted it in her eyes whenever she laughed". These details throughout the book give the work substantial breadth and depth. bottle-thick lenses, tuck my hair in a bun. a red nightgown, and chandelier earrings." Reader, I was drawn in. From the first poem, which introduces the book Jane Eyre, to the last poem, "At the British Library", where "Charlotte's manuscript (is) sepulchered like an incorruptible saint", I was captivated. 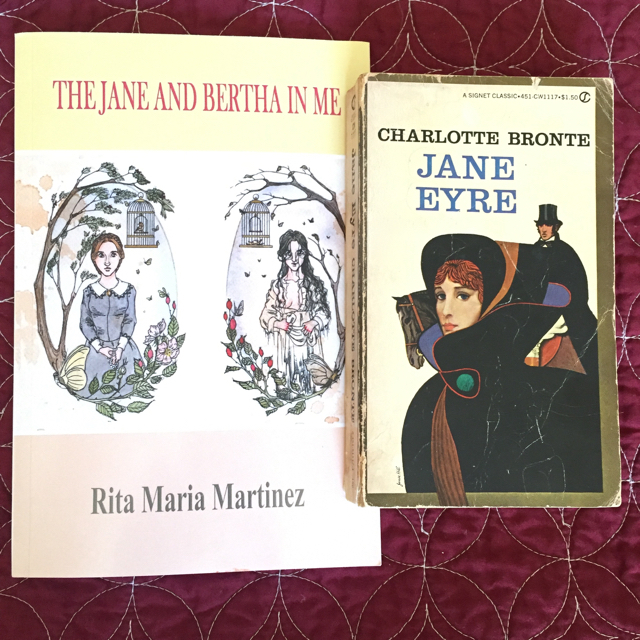 Rita Maria Martinez has transformed her love of Jane Eyre into a remarkable creative collection as thoughtful as Jane, and as "crazy" as Bertha. This book features 38 poems (I'm barely scratching the surface about this book in this post). 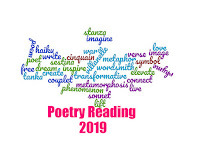 Each poem contributes to, in the words of poet Jeannine Hall Gailey, whose work I have also reviewed, a "lively re-imagining". There's a lot "going on" in this book. 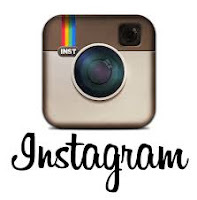 It's brimming with images brought to life by words, and it's multi-layered. It's down-to-earth, and downright funny. Some of the titles of the poems are hilarious, such as "Jane Eyre: Classic Cover Girl", "Thinking of Bertha on the Metro", "Governess-to-Go", and "The Guidance Counselor Interrogates Jane" (and the description of the female, Larry King look-alike counselor in the poem is quite funny, too). The Jane and Bertha in Me reignited my interest in the novel, Jane Eyre. Of course, I read it in school, and I've also seen the 1943 movie version, with Joan Fontaine and Orson Welles. This book of poems compelled me to locate my copy of Jane Eyre, and to read more about the novel on Wikipedia (and elsewhere online). Primarily, I was interested to refresh my memory of Jane's character in the book, and to see if (or rather, to what extent) the book is considered to be "a work of feminism". (My "conclusion"? I think it is, in several important ways.) 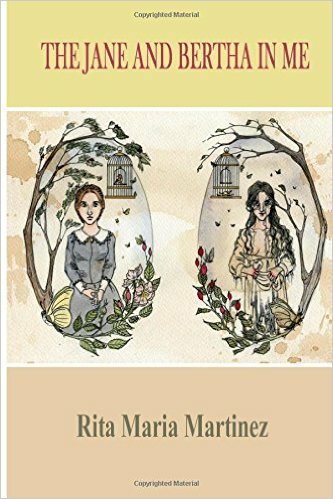 The Jane and Bertha in Me highlights and honors the classic novel, Jane Eyre, with poems about modern life told from a woman's point of view. This collection of poetry is so clever, so confident, and so commanding! 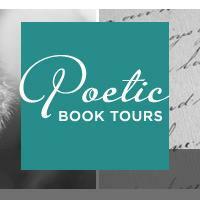 Many thanks to Serena from Poetic Book Tours for inviting me to participate in this tour. I purchased a paper copy of the book for myself as I prefer to read poetry in this manner. For more reviews, please visit the other stops on The Jane and Bertha in Me tour. This post is also part of Serena's more general poetry tour for National Poetry Month. 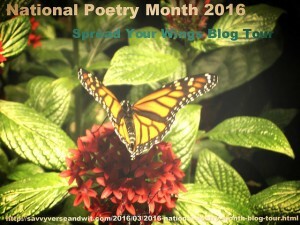 What will you read for National Poetry Month? Really interesting how you show the two women in Jane Eyre being examined, even humorously and contemporarily, in these poems. There is so much to see in the poems. I can see why you wanted your own physical copy. Very nice review, Suko. This sounds like very interesting reading. I think this is a book I would enjoy. It's a wonderful book, Vicki! Great review Suko. I've never read Jane Eyre. I am sure I am missing something very special! Superb commentary on this book of poetry. I like the ideas of basing a book of verse of such an important work as Jane Eyre. I read the novel for the first time within the last couple of years. In terms of gender, in my opinion the book had such profound things to say about the masculine and feminine. This is just one of the ways that it can be considered a feminist work. 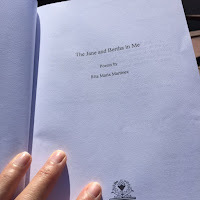 Though not a big fan of poetry as you know this does sound like an inspired collection and I love that snippet of "The Jane and Bertha in Me" that you so kindly shared. Wow - this sounds amazing! I love Jane Eyre and this sounds like a wonderful new way to experience the novel, through poetry. 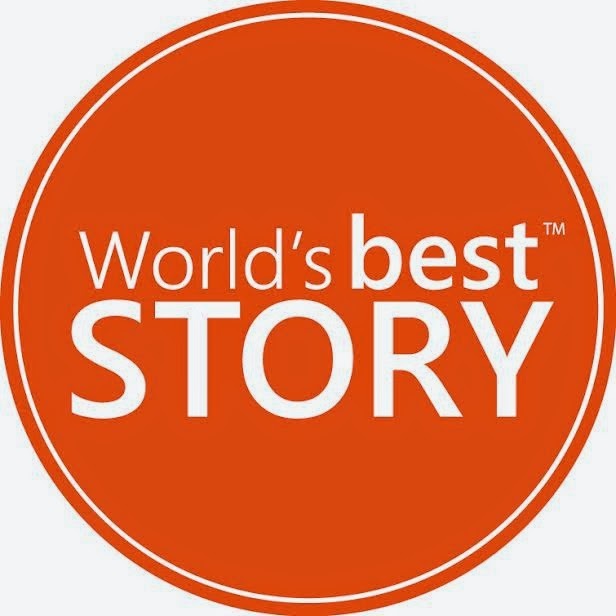 Thank-you for the great review and for drawing my attention to this wonderful collection. I've added it to my "to read" list! This looks great! Jane Eyre is one of my all-time favorite books. I definitely recommend watching the 2006 MAsterpiece/BBC take on the story. It is what got me hooked on British tv and film! I think this is a book I would enjoy, I love poetry. I even have my own poetry blog, not open to the public, but I do it for my own entertainment, just of see what is hiding in the "Shadows of My Mind". I'm glad you enjoyed this book. 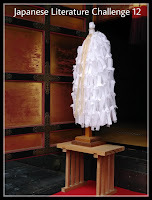 I am eager to read this collection, especially after reading your thoughts on it, Suko. Jane Eyre is one of my all time favorite novels. 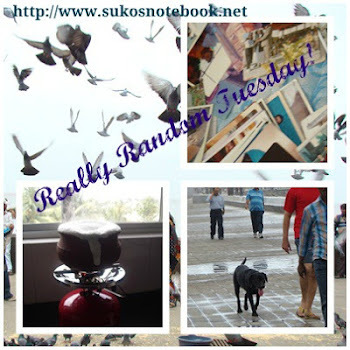 I am coming through the blog tour, as my stop was this morning. I loved writing my piece about this collection of poetry, because Ms Martinez wrote such a thought-provoking collection of poems; a few of which stood out to me as being the best parallels between the original canon and her interpretation. 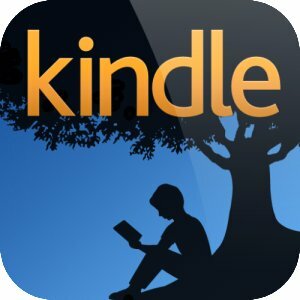 Although, our personal favourites and our reactions differed from each other, I loved reading your review, because you put as much heart into this response on it's behalf as I did - and I could see, you enjoyed your visit amongst the poems whose depth of magnitude were befitting the author who inspired them. 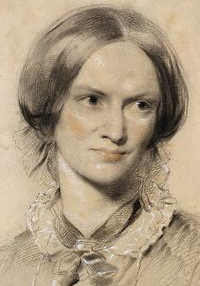 I'm finalising my thoughts on behalf of Jane Eyre before moving into a series of after canon sequels - for me, Jane Eyre will always be representative of feminist ideals grounded by faith and for being a beacon of hope. Loved how you inter-related your review with outside materials and your own experiences with both Jane Eyre and the attributes of poetry! Thank you for your wonderful comment, Jorie. I enjoyed your well-expressed description of Jane Eyre: "representative of feminist ideals grounded by faith and for being a beacon of hope". Wonderful post and I agree that Spring is a sublime. I have never read Jane Eyre but have a copy on my shelves. I've just finished reading the poems of Anne Sexton and will be posting about that soon. I absolutely love the idea of this book, and your review reflects that the idea was implemented remarkably well. I like poetry, but tend to reread favorites instead of exploring new poems. This collection, however, is rooted in the familiar but also seems fresh, like spring.